You’ve probably had the experience of plugging in a new appliance or turning on a powerful one and suddenly losing power. That’s the circuit breaker box doing its job: protecting the electrical system from a harmful voltage overload. Fixing a tripped breaker is easy, you only have to reset it. 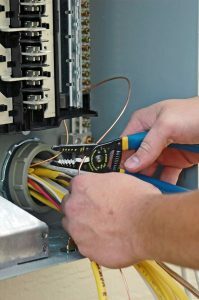 But a tripped breaker is something to pay attention to since it often means something is wrong with the appliance (or the home needs a wiring upgrade). Has this tripped breaker problem affected your air conditioning system? The compressor tries to come on, but instead the power to the AC shuts off—and you have to reset the breaker to get the cooling system working again. If this happens once, it may not be a serious problem. Voltage overloads can sometimes occur. 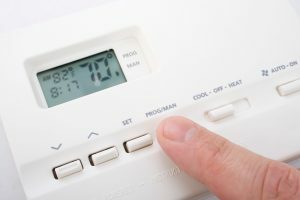 But if your air conditioner is tripping the breaker repeatedly, it means the system is overheating and causing the motors to put too much electrical demand on the system. 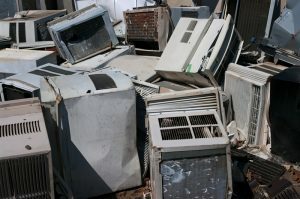 Leaking Refrigerant May Destroy Your AC! Many types of malfunctions can cause your home’s air conditioning system to fail or stop working altogether. A fan motor burns out, and that means no air circulating through the house. Bad wiring to the thermostat means you can’t turn the AC on. 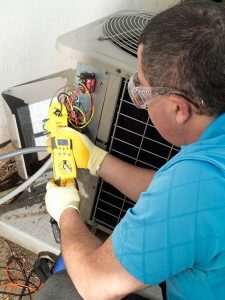 But there are some malfunctions that can mean the end of your air conditioner—the point where the only repairs that may fix it will cost more than the price of getting a new AC. One of the big air conditioning-ending disasters you may run over summer is leaking refrigerant. Posted in Air Conditioning | Comments Off on Leaking Refrigerant May Destroy Your AC! Doing the AC Replacement Shuffle: It Can Be Tough! 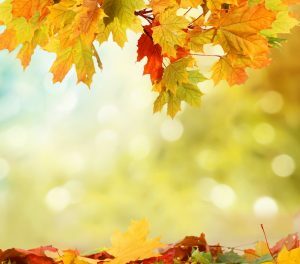 In our previous post, we talked about the importance of having routine air conditioning maintenance done in the spring. (Call us now if you haven’t done this yet! Don’t put it off.) 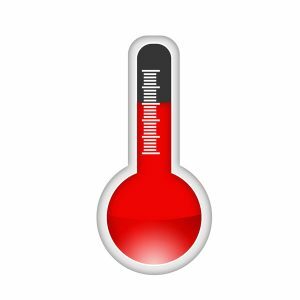 Maintenance helps an air conditioner last for as many years as possible, and many ACs can serve a house effectively for 15 years. But an air conditioner is not a “forever” device. At some point in the future, you’ll need to have an air conditioning replacement in Staten Island, NY. But what if the future is today? Looking ahead to the warm weather—and it will be here before we know it—do you have doubts about your air conditioner? Are you wondering if you should keep repairing it, or if it’s less expensive in the long-run to put in a new one? If you’ve got these questions bouncing in your head, you’re caught doing the AC Replacement Shuffle. We have some answers for you that will help with making the choice—but eventually you’ll need our direct assistance. Posted in Air Conditioning | Comments Off on Doing the AC Replacement Shuffle: It Can Be Tough!